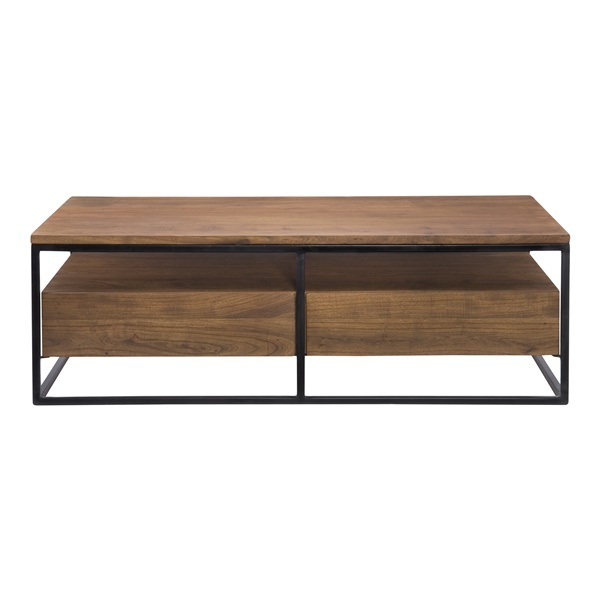 Sleek and contemporary, the Vancouver Coffee Table will look great in front of any couch or loveseat in your home. The tabletop is beautifully built using solid acacia wood and offers a great place to display some of your favorite photos and cherished accent pieces. It's furnished in a light brown finish and includes two drawers to keep your belongings neat and organized. Meanwhile, the dark frame provides a nice contrast, durably built of solid iron to supply long-lasting strength and stability. Display with other Vancouver collection pieces to make a bold statement.